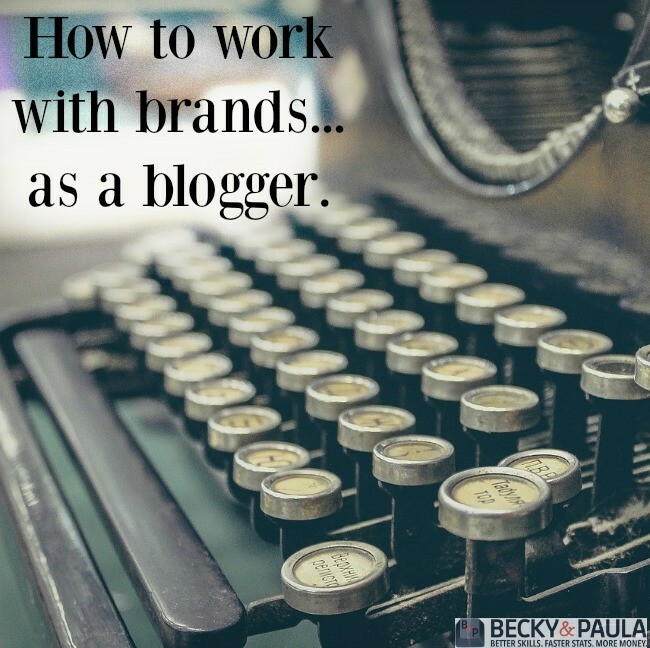 I want to tell you how to work with brands as a blogger… Look like a business if you want to work with a business. I started my blog and loved the way that it looked. Green header, a cute, blonde cartoon lady with a baby and a bottle. Cute. Not me. It didn’t look like me and didn’t represent my blog. The green is a far cry from my favorite colors of ocean blue and pink. Yet I kept it for a year. I was afraid of change, afraid to lose followers that had grown used to it, afraid of missing out on sponsored posts by brands that recognized my blogs. 1- A logo that could fit on any post. 3- A bright color that was cheerful and reminded me of the beach, but was neutral enough that it would easily flow with other colors. 4- An about me page that was ABOUT me. 5- A place for them to find me easily. 6- My stats, plain & simple, for brands to see. 7- A full-blown, impressive media kit. I knew that I wanted my background to be white. I looked at business websites to get an idea of what I wanted. I looked at Lowes, Home Depot, Target, Pier One. Then I looked to blogs that I loved to see what they were doing that I loved. I knew that bright was the way to go – for what I wanted to achieve. I had to declutter my page, like I declutter my house. It was busy and made me feel claustrophobic. I knew that if I wanted others to feel peaceful when they came to my blog (so they would come back), I had to give them just that. I needed to look professional. I needed a clear ABOUT ME page. I needed clear topics for my menu bar. I needed a place to put media & affiliate info, so there was no question about my Page Views, social media stats or what they would get if they worked with me. I wanted to work with businesses and brands, so I became one myself. I thought of my blog as my profession. My place to help others, my place to provide needs for others, my place to support my family. It has become all of these things, because we reach the goals that we set, if we work towards them. So, when I hear the question about “how do I work with brands?” I always say that the first place to look is back at your blog. 3- Do you have a professional looking blog? It might be worth it to spend $25 to buy an Etsy theme if it takes your blog to the next level. In my opinion, my blog does not look professional. It looks as though a teenager drafted it. I had a designer do the theme and colors (I chose a purple because of fibromyalgia), but I don’t like it. I haven’t said anything because I paid big bucks for the VA to do it. I’m afraid to change anything because i don’t want it to cost me another $100. For the Etsy theme, is it easy to install? I’m not very savy for installing themes, etc. Although, I do need to learn. Also, how do you get that floating bar to scroll down the page? The bar that includes the home, about us, etc?